Hello! 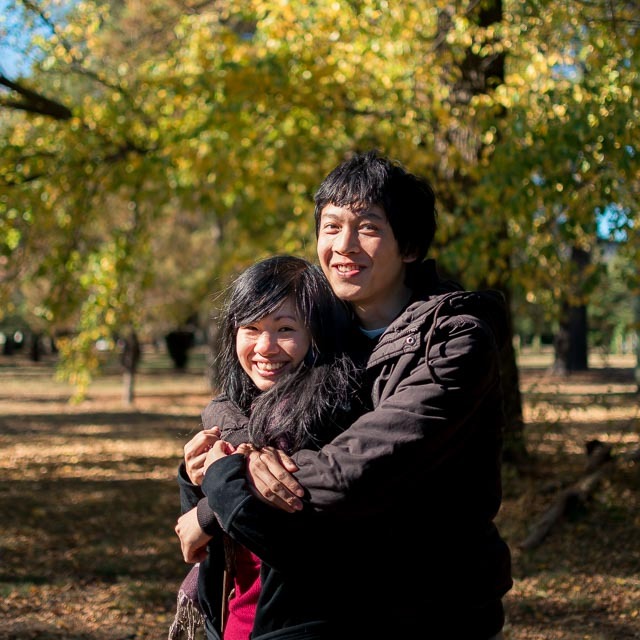 We are Jonno and Mandi: husband and wife wedding photography team based in Sydney. We are passionate about our photography and love being a part of weddings so naturally, Tinker Photography was started to allow us to follow these passions. Our style has been described as artistic, natural and spontaneous. Our photos retell the honest emotions and details of the wedding, documenting the story for generations to come. We don't believe that a checklist of formal + candid photos can sufficiently represent something as personal as a wedding. Each couple has a unique story to tell and we use everything available to recreate it. We take candid shots from a distance but can also get up close and intimate. We like natural light but can also get creative with dramatic flash photography. We find creative angles that break away from the cliche. And we love to mix the romantic with the geeky and quirky. We absolutely love our wedding photos and it’s all thanks to Mandi and Jonno. We originally chose Tinker photography as both my husband and I were drawn to their portfolio as their photos seemed natural and real which was the look we were after. When we met them we knew they were a perfect fit for us and they are a wonderful couple who were very professional yet super friendly which immediately put us at ease. They even went beyond by scouting out several photo locations beforehand so they could recommend beautiful and artistic spots and provided additional pre-wedding photos in black and white as they noticed we liked that style. Their attention to detail, consideration and artistic eyes make them exceptional photographers. We even had a friend who recently got married say they love our photos more than theirs. We definitely recommend Tinker photography. The photos they (Tinker Photography) produced were absolutely breathtaking and really captured the beautiful details of both the ceremony and the lunch reception (there were so many details so cudos to them!). It’s not just the portrait shots of us that we love but also the quieter moments of the flower girls or guests interacting with each other that we were too busy to notice on the day. The whole suite of photos painted a picture and told a story, with lovely use of light and angle. They’re truly talented photographers. Working with Jonathan and his assistant Mandi on our big day was a joy. We absolutely love the photos and have had nothing but great feedback from our family and friends. Jonathan and Mandi were so easy to work with and I never worried about how our pictures would turn out because I knew they would do an amazing job. We are so thankful we got to use Jonathan as our wedding photographer. He is communicative, honest and detail-oriented. Thank you so much Jonathan, we are very happy customers. Deb and I are so happy with the out come of the pictures that you took for us on our wedding day. You had a big job that you took on with taking pictures for the double wedding that my sister and her husband along with my husband and I had on the same day! You were both there with us from the early morning preparation till right till the end after midnight, you both captured every moment from beginning till end. The turn out of the pictures were beautiful as you capture all the little details and the different emotions that we all had which was very important for us. The attention to detail that you saw through the lenses and captured was brilliant. I love the light editing of the pictures (by that I mean the lighting was light and natural and not heavy and fake) which made our pictures just elegant and beautiful. We are very grateful for the efforts and time that you spent with us from the initial meeting with you both till the catch up after the wedding to deliver our pictures. I cant forget to mention that if it weren't for both of you we would have been extra late to our wedding as the Limousine failed to arrive to pick us up from the ceremony, but you were there to our rescue to drive us to the ceremony and also took our family dog in your back boot which was so great. Your are both such lovely people who care about what you do and your customers, you take the time out to perfect and understand what we wanted. I would highly recommend you to anyone getting married in the future! So Thank you very very much! We received the lovely package yesterday. Thank you so much!! The photos look soooo good and exactly what we were hoping for.